Having closed down operations once the countries were admitted into the European Union, Radio Free Europe is restarting programming in Romania and Bulgaria due to a sharp increase in the incidence of false reporting in efforts to combat the spread of disinformation. 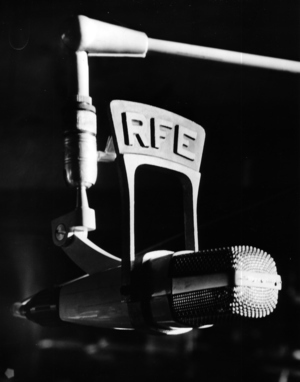 During the Hungarian Revolt of 1956, Radio Free Europe was accused of stoking revolution by promising that American help was imminent, which was counter to US foreign policy at the time and no intervention was forthcoming—resulting in a major overhaul on how the organisation was administered, geared to protect journalists’ independence and not to promote an agenda. When the country was a Soviet satellite, Romanian leader Nicolae Ceaușescu regarded the station a serious threat and provocateur and waged a campaign of counter-programming with Operation Ether, which included discrediting and assassinating reporters. Though activities have been significantly curtailed since the end of the Cold War, the Prague-based broadcaster maintains some seventeen local bureaus and is present in over twenty-five countries, including Russia (Radio Liberty was the name of the station dedicated to broadcasting to the USSR until the stations merged in 1976), in jurisdictions which the organisation assesses are not fully matured in regards to the unfettered flow of information.